You asked for it so you got it! HostForLIFE.eu is proud to offer PHP 5.6.13 Hosting. HostForLIFE.eu customers have an option to choose type of PHP version when configuring website from inside the HostForLIFE.eu Plesk control panel. We provide cheap, best and instant activation on your PHP 5.6.13 Hosting hosting account and all the hosting registration will be activated soon (upon payment clearance and verification check). What is European PHP 5.6.13 Hosting? PHP 5.6.13 is an HTML-embedded scripting language. Much of its syntax is borrowed from C, Java and Perl with a couple of unique PHP-specific features thrown in. The goal of the language is to allow web developers to write dynamically generated pages quickly. PHP is known as a server-sided language. That's because the PHP doesn't get executed on your computer, but on the computer you requested the page from. The results are then handed over to you, and displayed in your browser. Other scripting languages you may have heard of are ASP, Python and Perl. 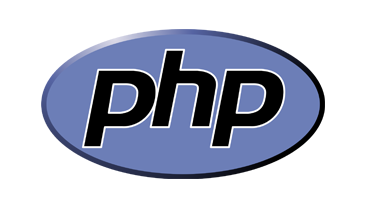 The PHP development team announces the immediate availability of PHP 5.6.13. 11 security-related issues were fixed in this release. All PHP 5.6 users are encouraged to upgrade to this version. Why Choose HostForLIFE.eu for PHP 5.6.13 Hosting? Try our Free PHP 5.6.13 Hosting today and your account will be setup soon! You can also take advantage of our Windows & ASP.NET Hosting support with Unlimited Domain, Unlimited Bandwidth, Unlimited Disk Space, etc. You will not be charged a cent for trying our service for the next 3 days. Once your trial period is complete, you decide whether you'd like to continue.